If I hadn’t bought two new bags in the past two weeks (Did I say two? Yes I did, besides my new Wang-friend, I will show you the other one soon!) I think I wouldn’t have been able to control myself over these cuties! 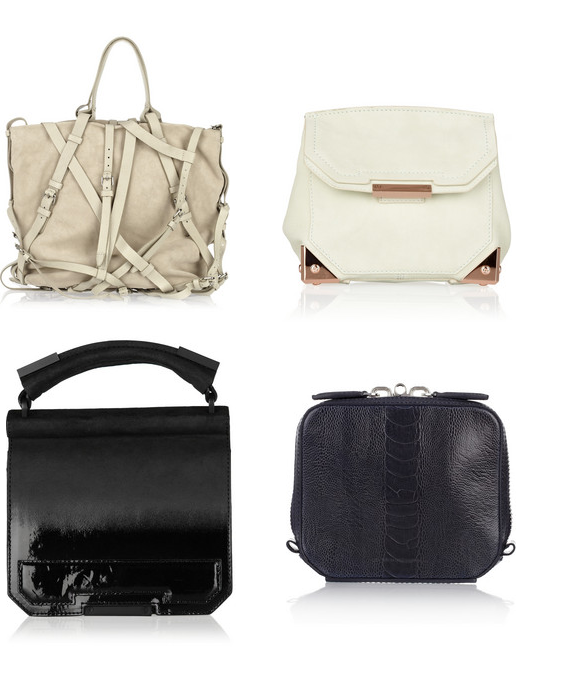 Would love to have a small, boxy-shaped bag like the white or two black ones above. And the large buckled tote bag has been on my wishlist from the moment I saw it. Best thing is: they’re all on sale now! Which one is your fave? De Kirsten in het zwart vind ik super vet! Ik begrijp je helemaal, die eerste is zoooo gaaf! Ik vind de tweede echt tof. Zou ‘m zo graag zelf in het zwart willen!